They have Been rehearsing it up & have added OJ “Juice” Newcomb the bass Player & Trumpet man from Afro Dizzi Act & Band Of Frequencies ! So the Sound IS Going To Be BIG Phat & Juicy ! These amazing multi-instrumental performers have joined their exceptional musical talents to bring you an uplifting night of music. This unique show will comprise two sets – the first a deep, meditative and ambient downtempo set, and the second full of free-flowing upbeat dance tunes to get your groove on and enliven your soul. 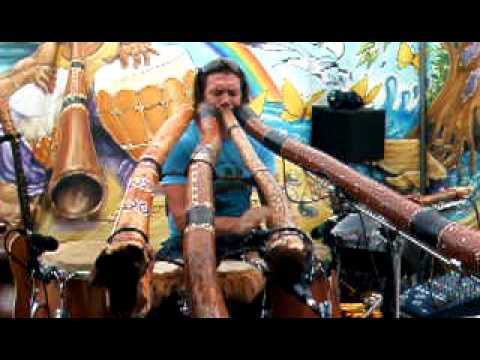 At the very heart of Matt James’ music lies his powerful ability to transform the vibrations of the didgeridoo into a symphony of sounds. Stemming from tribal roots and blending many musical styles, Matt’s music is truly eclectic and powerful. As Matt James’ amazing music evolves, one thing remains constant, his passion – the driving force behind the energy of his music. When you see him perform you feel elevated . . . it is purely from the heart. 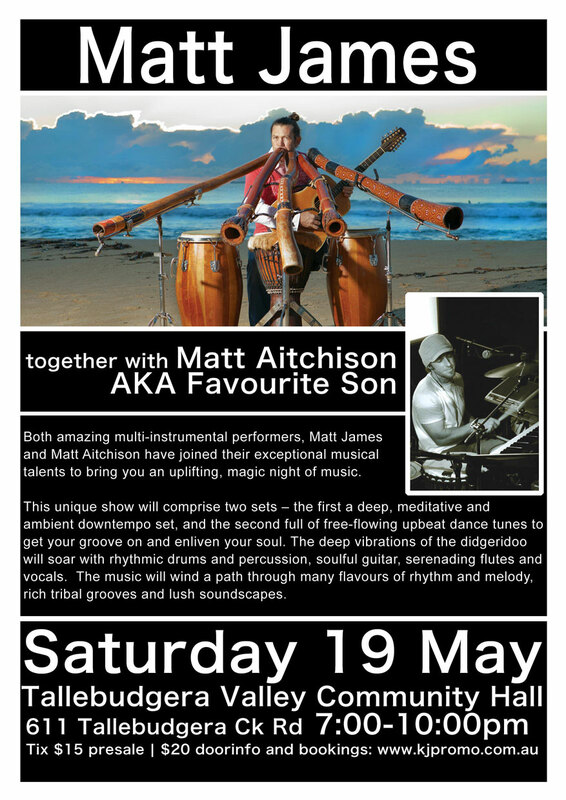 Best known in this part of the world for his work over 6 years and 4 albums with world music group Oka, Matt Aitchison now composes music for film and television, as well as producing artists in the Byron Bay area, performing and recording under the name Favourite Son. A drummer, songwriter, keyboardist and singer, Matt’s musical touch is unique and unmistakable.